The South Florida Museum is located just a short 15 minute drive into downtown Bradenton on the mainland. This wonderful historic museum features numerous galleries, exhibits and is home to Manatee County’s mascot, Snooty the Manatee. Learn about the history of Florida, get up close and personal with the manatees at the aquarium and see a show at the full dome planetarium during your visit. What to expect: The museum portion offers two stories of exhibits. On the first floor you will be able to see the “fossil evidence of Florida’s earliest marine and mammal inhabitants”. You will be able to experience on hand the findings of the paleoindian archaic and pre-contact cultures. Peruse through the Great Hall, Fabulous Florida Seas, Land of Change and many others before making your way up the stairs. On the next level you will find The Visible Storage Gallery, featuring over 20,000 objects from numerous eras including decorative arts, textiles, archaeology, minerals and much more from all around the globe. Made to be easily accessible, you can view these objects up close through the zoned cabinet system that allows you to pull out drawers in order to be able to view, compare and admire the pieces. Here you can also learn about the medical history, community development over the ages as well as the Environmental Wing where you can learn more about Florida’s environment. 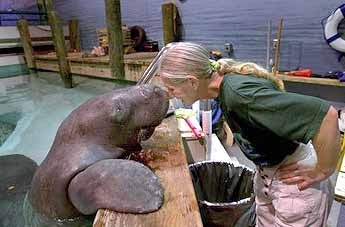 The Parker Manatee Aquarium is the home of three adult manatees, including Snooty, the oldest known manatee in the world. These wonderful rehabilitation facility allows the mammals to keep their natural behaviors by providing them with a shallow and deep water pool, holding close to 60,000 gallons of water. View these wonderful animals from above and below with the multiple viewing options. We definitely recommend watching a presentation to learn more about the behaviors of these wonderful mammals! The Bishop Planetarium is a multimedia theater that offers films, lectures, live music and even digital art performances. Don’t miss one of the traditional live star talks and their many performances that allow you to see a three dimensional map of the entire universe. Getting There: The South Florida Museum is only a short 10-15 minute drive into the mainland. Simply use the Manatee Avenue bridge to connect to the mainland and follow Manatee Avenue all the way towards downtown Bradenton. Take a left onto 10th Street West and after 2 miles you will the Museum to your right. You can also hire a taxi or shuttle service such as Paradise Car Service, Island Sedan or AMI Transportation. More Info: The Museum is open from 10am until 5pm Monday through Saturday and 12pm to 5pm on Sundays, there are Monday closures throughout certain seasons of the year so make sure to check their calendar here before you plan your trip. The admission ranges from $19 for adults to $14 for children ages 4-12. 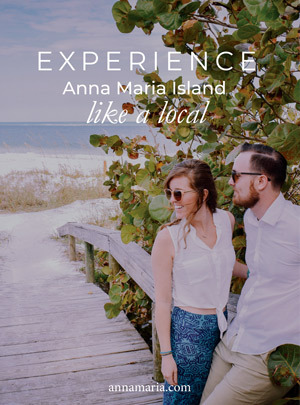 View their scheduled events before planning your visit for shows such as Stelliferous Live, Think + Drink and Manatee Care specialist presentations.